After the death of his wife, Australian farmer Joshua Connor (Russell Crowe) heads to Turkey to find and retrieve the bodies of his three sons who died at the battle of Gallipoli 4 years earlier. Russell Crowe makes his directorial debut with "The Water Diviner," and like many directors, he also stars in this movie, too. It seems as if this was a personal passion project for him as he spoke of it fondly on television talk shows, wanting to bring this story to life when some people might not even know it exists. It mainly takes place a few years after the Battle of Gallipoli and the end of WWI. Though it takes place after the war has ended, there is quite a bit of graphic war footage shown through flashbacks, which is the primary reason this film is rated R. These flashback scenes are an excellent addition to the story as a whole, unfolding details ever so slightly as the film progresses. Russell plays Joshua Connor, a father, husband and man who works a farm in the Australian Outback where it's not an easy place to get water. To try and find it, he uses divining rods to locate underground water sources and also digs wells, a skill he taught his three sons, who all enlisted together but were tragically killed during the war. Grief stricken, he makes a promise to his wife to find their boys and bring them home to their mother. Anytime you're dealing with a war film, it's bound to be at least somewhat moving, and there's no exception here, mainly from the powerful performance by Crowe. 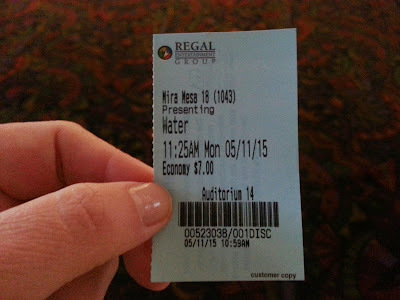 He does puts on a solid, quite good performance as usual and makes a respectable effort for his first time directing. Joshua's wife Eliza, played by Jacqueline McKenzie, was never able to fully get over their sons' deaths and is in a deep depression at the beginning of the movie. She even goes through a daily routine as if they were still alive, shining their boots and making Joshua read to empty beds each night. Joshua decides to go to Turkey and locate the bodies of his children to bring back to Australia for a proper burial. While in Turkey, he comes face to face with those his country fought against and experiences their animosity towards him, but also faces his own animosities and hatreds towards them, too. Olga Kurylenko plays a woman named Ayshe, who lost her husband in the war and has a lot of anger towards all things Australian, including Joshua, when he comes to stay at her hotel thanks to her son Orhan, played by Dylan Georgiades. Orhan takes a liking to Joshua and beings to get closer to him, thus, bringing Ayshe and Joshua closer together, too. The two eventually connect over their mutual loss and are able to put their differences aside as they get to know and help one other. This is a thing that Joshua must learn to do over and over as he comes face-to-face with Major Hasan, played by Yilmaz Erdogan, the commander of the Turkish military company that killed his sons. Yilmaz Erdogan puts on an especially excellent performance and seems to capture the character of a bold military leader with a heart very well. Crowe and Erdogan play off of one another well, for better and worse. Jai Courtney also appears in the film as Lt. Col. Hughes, who leads the body recovery effort for the Australian army. BigJ isn't always huge fans of Jai Courtney, but he does a good job in his relatively small role. It may be that he is actually playing an Australian for once and doesn't have to focus on maintaining a difference accent that helps him with his performance this time around. This is very much an intimate story about a father's love for his sons and the loss that war brings to individual families on both sides of the conflict. Though it can be touching at times, it really lacks a big emotional oomph, especially towards the end of its run time where it could have been aided by some more intense ending moments. There are certainly some other flaws throughout the movie, too. These flaws mainly have to do with odd scenes left in which have no place in the film, or with strange camera angle choices we didn't quite care for. There are a number of really excellent shots as well, which counteract the bad ones, but Crowe still has a long way to go if he wants to be the next Mel Gibson (and it pains us to say this because Mel Gibson is insane). 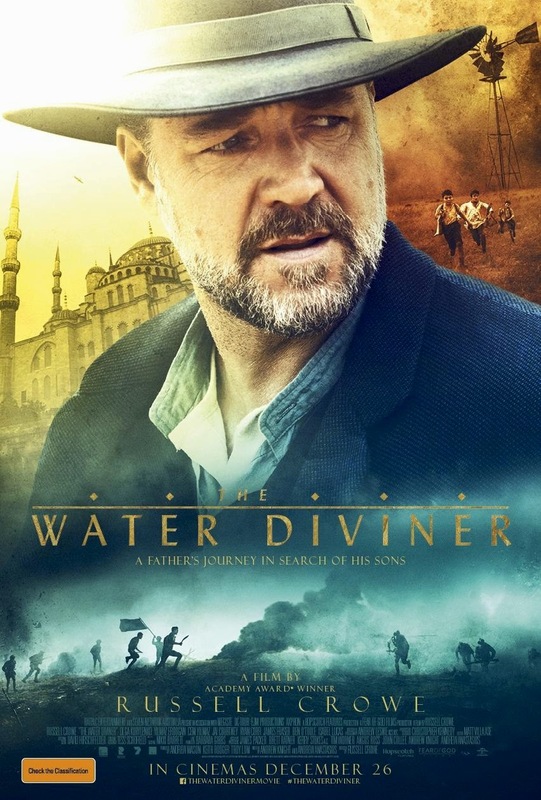 At the end of the day, "The Water Diviner" will just barely tug at your heartstrings long enough to make you forget that Russell Crowe assaulted someone with a cell phone.